Pretty good ride I liked the view, and the way u float at the top, plus there is never a wait. This ride was actually very entertaining. The lines were never too long and I really enjoyed the launched version. When you reach the top your body keeps moving up as the harness starts to pull you down so you float there for a few seconds. However the regular drop wasnt as fun, I would stick with the launch. Definite quality on the space shot, but I cant say the same for the drop. It fell too slowly, and I experienced very little hang time. But it gets a solid 8 for the space shot. The launch is a blast (no pun intended) and at the top when it pulls you down.....air time heaven. Great ride, just be sure to hit up the red side. The shot up side was a little disappointing, but still fun. Wish I could have done the drop side. I went on both sides... this ride was insane. The space shot was fun because one second you are a few feet from the ground then another second later youre 240ft up getting really nice airtime! 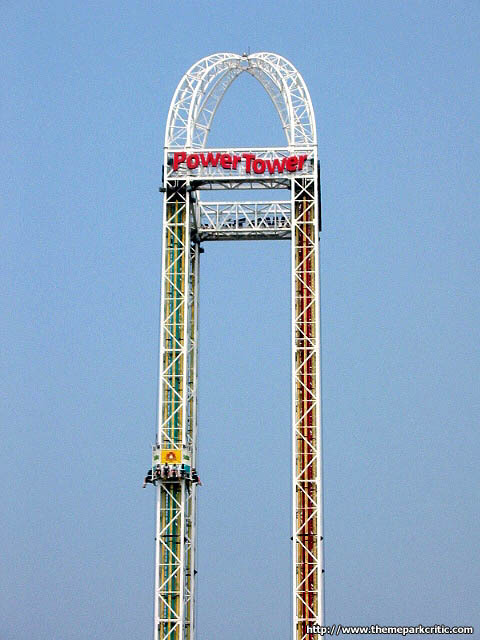 The turbo drop side was probably overall scarier and more intense than the space shot. The climb up always builds excitement and gets you scared but, the part at the top is what really bothers me. Not really knowing when its going to drop and when it did drop, it didnt just fall it launched us down lifting me out of my seat with the only thing keeping me in was the harness. Great thrill ride! I only had time to ride the Space Shot and that was very fun! 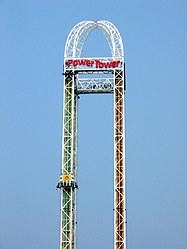 Power Tower is my favorite non-coaster ride. Both sides are scary as heck and I just love being up so high on the ride. This ride is amazing. 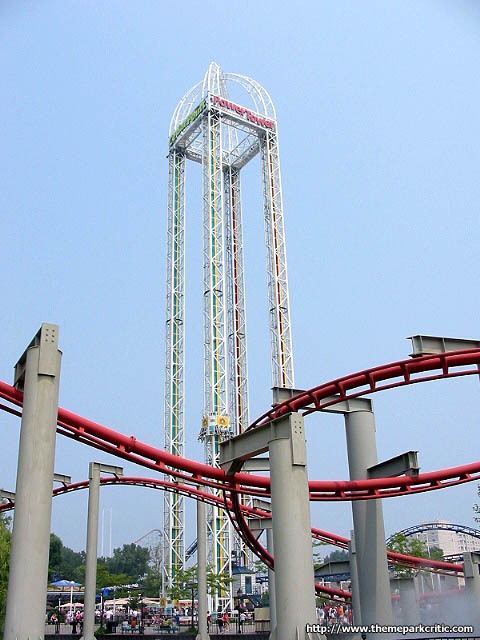 It is a very suspensful ride, whether you are waiting to get shot up 240 feet, or drop down from 240 feet, you get an rush!